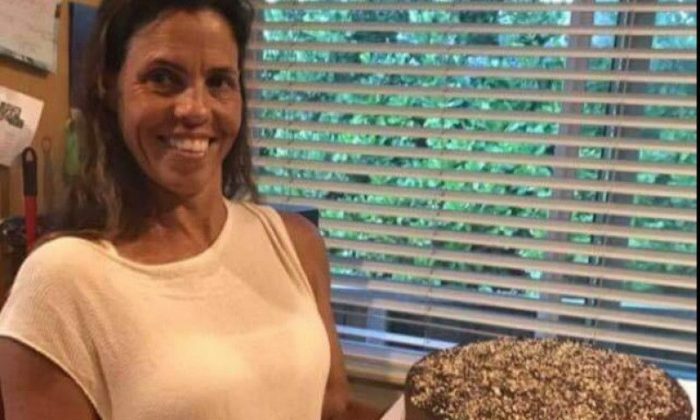 A woman from Sunset Beach, Hawaii, was brutally murdered on Wednesday, Dec. 6, while she was cleaning a vacation home rental with her 8-year-old daughter, Hawaiian Police Department said. Telma Boinville, a substitute elementary school teacher, was helping a friend clean a vacation house on Oahu’s famous North Shore surfing mecca to supplement her income when she was beaten with a baseball bat. Her daughter was found upstairs bound and her mouth duct-taped, reported Honolulu Star-Advertiser. During the investigation, police recovered the bat and also found a meat tenderizer and a machete, reported KHON. Police have arrested two suspects over the murder—23-year-old Stephen Brown and his girlfriend, 20-year-old Kailey Dandurand. They were charged with murder, kidnapping, and burglary on Saturday Dec. 9. Bail has been set at $1 million and $500,00, respectively. The couple fled the scene in Boinville’s Toyota Tacoma pickup truck which was found in the Town Center of Mililani parking lot near Walmart, reported KHON. The pair was then arrested near the Mililani Walmart on Thursday Dec. 7. Boinville’s credit card was found in Dandurand’s pocket, and both Dandurand and Brown had dried blood on their hands, according to the news station citing police sources. The North Shore community has been shakened and heartbroken by the news. The tight-knitted community came together on Friday, Dec. 8, at the Haleiwa Christmas Parade to remember the beloved mother whose life was suddenly cut short. Boinville’s husband, Kevin Emery, was devastated as he knelt in front of candles and flowers during the candlelight vigil on Friday. “This put her in the wrong place at the wrong time,” Emery said in a written statement, reported the Honolulu Star-Advertiser. Residents of Haleiwa expressed their grief and disbelief as they prayed for the family. Boinville was also well known by parents and teachers at Sunset Beach Elementary, where she worked for several years. The elementary school also sent a letter to parents to express their grief over the teacher’s death. One of the suspects, Brown, was also wanted for an outstanding $20,000 bench warrant for failing to report to his probation officer in October for a drug test, according to KHON. He was also arrested in June this year for beating his then-girlfriend, which was dismissed two months later. A GoFundMe page was created on behalf of Boinville’s daughter and has raised almost $80,000 as of Dec. 11.